Cruises To Roatan - 5 Best Cruise Iteneriries! 1. Princess Cruises on a 7 day roundtrip from Galveston takes you to Roatan, Belize City and Cozumel, leaving you plenty of time to explore both the ship and the ports of call. 2. Holland America’s 7-night roundtrip from Tampa lets you experience Key West, Roatan, Santo Tomas and Costa Maya. 3. 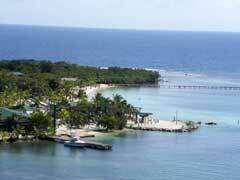 Cruises to Roatan from Celebrity Cruise Lines go on a 5-night excursion from Miami and visit both Roatan and Cozumel. This special Holiday Cruise on the Celebrity Constellation sails on Dec.29th for a fun filled New Year’s Eve celebration, Celebrity style. 4. Norwegian cruises to Roatan on the Norwegian Jewel, a 7-day trip from New Orleans which stops in Cozumel, Belize City, Roatan and Costa Maya. 5. Western Caribbean cruises couple with the best of the Eastern Caribbean in the 14 day offering from Holland America that departs from Ft. Lauderdale. Visit Grand Turk, San Juan, St. Thomas, Half Moon Cay, Georgetown, Roatan and Costa Maya all on one amazing adventure. Once in Roatan, taking in a shore excursion or two will only add to the experience. With many varied things to do in Roatan, the choices seem never-ending. Catamaran and snorkel tours that allow you a full day off of the cruise ship as you float around on a catamaran, watch marine life, marvel at the coral reefs and have the opportunity to go snorkelling near West Bay Beach is one such excursion. Others include open cockpit seaplane tours, jungle zip lines, horseback riding, and tours of the popular mangroves, featuring the only mangrove tunnel in the world. Cruises to Roatan offer all of this and more with the warm, friendly locals and of course, lots of opportunity to play in the surf and relax on the sandy beaches. While you cannot at this time see Roatan from a Carnival Western Caribbean cruise, with so many other lines that do stop there, you are truly spoiled for choice. Honduras is a country with a lot to offer the cruise industry, so it is no wonder so many lines include cruises to Roatan in their itineraries.